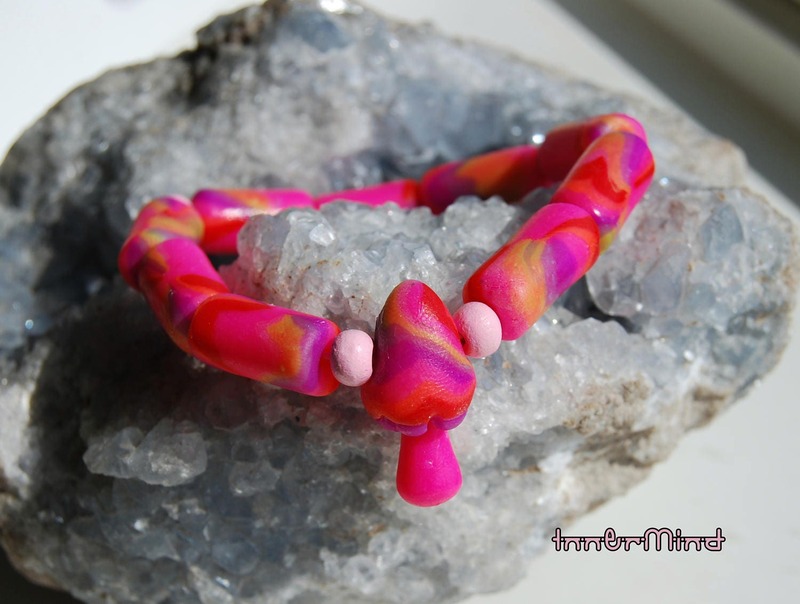 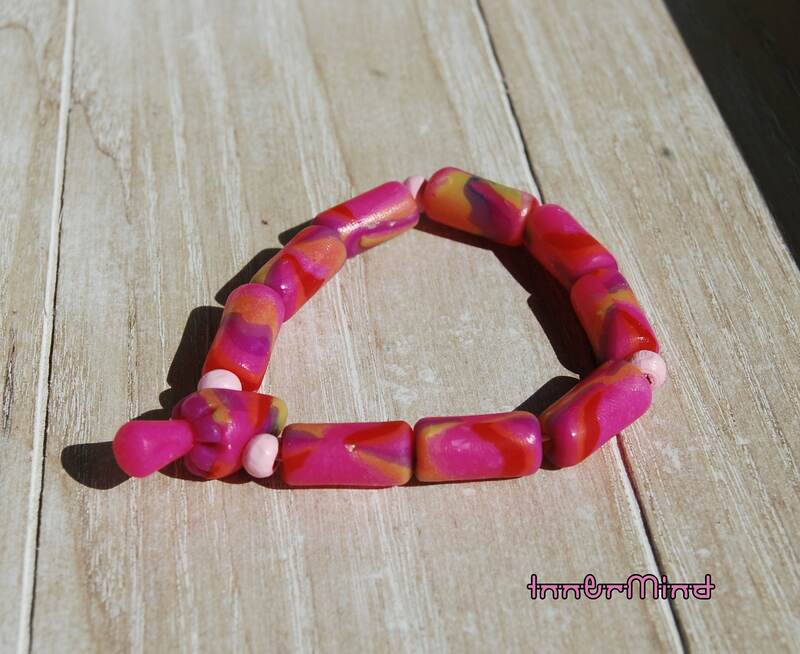 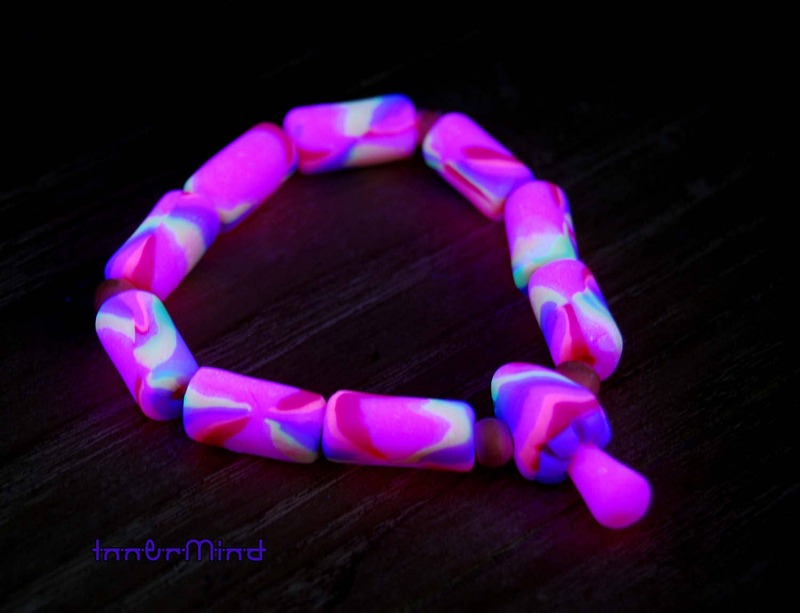 This lovely bracelet is made from handmade uv reactive polymer clay beads that I handsculpted one by one by myself. 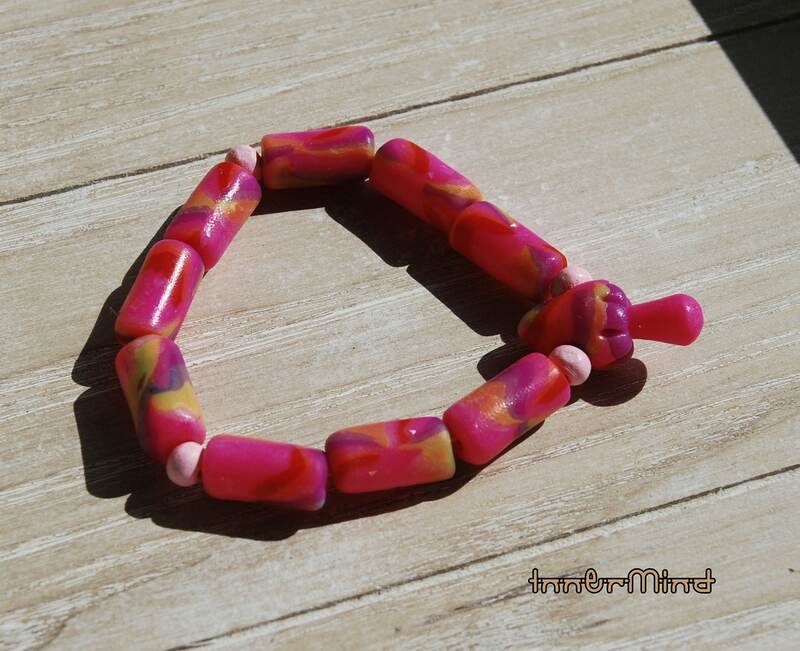 It has small handmade mushroom bead. 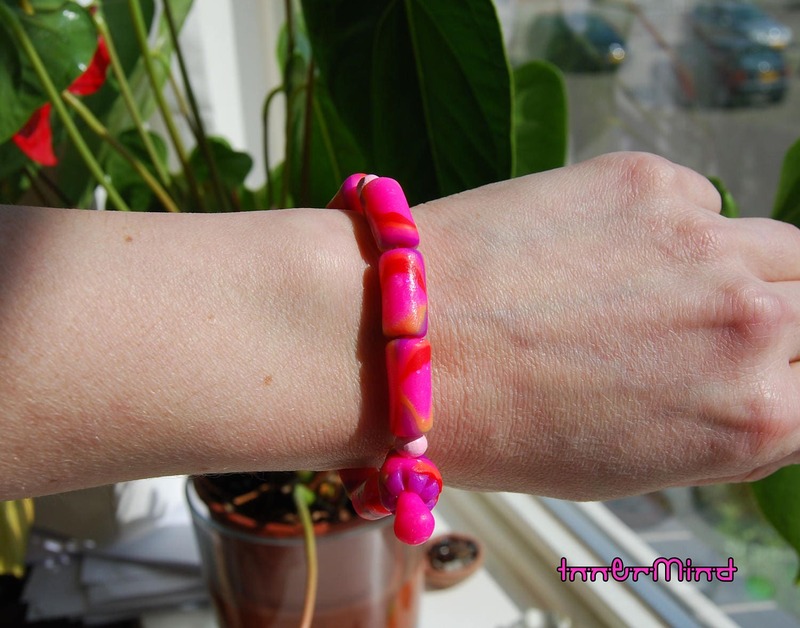 Comfortable for a women medium size wrist.